Singer who first rose to fame as a member of the South Korean boy band Hotshot. He would go on to compete on the second season of Produce 101 and, as a result, join the group Wanna One. He auditioned for JYP Entertainment in 2010 and later joined Hotshot in 2014. In 2015, Hotshot released their debut EP Am I Hotshot? which peaked at #11 on the Korean charts. He was born and raised in Goyang, South Korea. 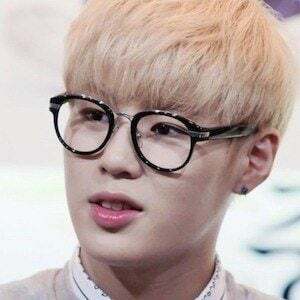 He is a part of the Produce 101 group Wanna One alongside Hwang Min-hyun and Park Ji-hoon.